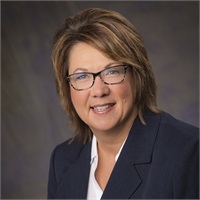 Sherry Wold | Cornerstone Financial Solutions, Inc.
Before joining the team at cornerstone Financial Solutions, Sherry spent many years as a stay at home mom - homeschooling her three children as well as supporting her husband Jim in the family business. She also worked for the Huron Police Department as a 911 tele-communicator/dispatcher. Sherry provides service to our clients by processing investment applications, following up on account transfers, answering account questions and leading administrative duties related to compliance. Sherry has been an active member of her church family by playing the piano for the praise team for over 20 years, as well as working with high school and junior high school youth. She also served on the Missions Committee for several years. She spends time with her family, camping, fishing, traveling, learning about new subjects, reading and scrapbooking. Place Sherry Would Most Like To Visit: Any warm beach, New England States, a mission trip with her husband to Chiapas, Mexico where he and their daughter have gone before.